Though there's been no official word from the band themselves, it looks as if fans of Guns N' Roses may soon be able to see a documentary film about the iconic hard rock outfit's current reunion tour. 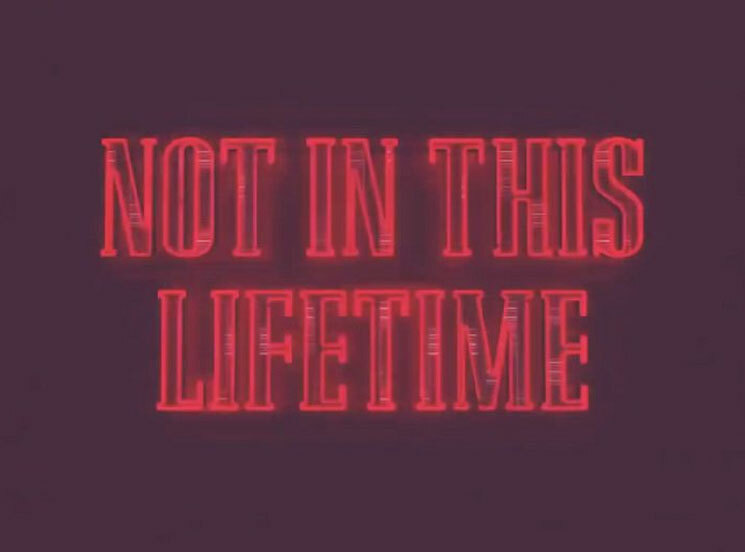 A video titled "Guns N'Roses - Not In This Lifetime DVD Trailer" was posted over the weekend through the GNR 2016 YouTube channel and looks reasonably legit, Alternative Nation points out. It seems to mix together a bunch of live shots of Axl Rose and co. performing onstage on their recent leg of dates. It also offers up some slick graphics, crowd reaction shots from both in and outside of venues, and a closing neon title card that has a bit of a Stranger Things feel to it. It also sequences together snippets of "November Rain," Bob Dylan cover "Knockin' on Heaven's Door," and "Sweet Child O' Mine," though these sound like studio versions. The same YouTube channel also uploaded a concert clip of Guns N' Roses playing "Welcome to the Jungle," which was supposedly shot at group's show at Los Angeles' Dodgers Stadium last Thursday (August 18). YouTube channel Guns N' Roses News adds that there were "signs plastered outside" of the venue that night saying that the show would be filmed professionally. While nothing has been confirmed by the Gunners proper, you can see both the trailer and quickie clip from the Los Angeles show down below.